Hungary: The European Baduk Competition finished November 17 in Budapest with Pal Balogh 6d in first, Csaba Mero 6d in second, and Ondrej Silt 6d in third. Italy: Also on November 17, 2k bested Andrea Mori 3k at the Gladiatore 2013 in Rome. Mika Straka 6k placed third. Poland: Bartlomiej Zuchowski 2k took the title at the Pierwszy Turniej Go Ozarowa Mazowieckiego on November 17. In second and third place were Kamil Konieczny 5k and Piotr Kucharski 11k. Your Move/Reader’s Write: Duplicating Li’s Success? “I read the article on Yunxuan Li pulling in 100 teens to his Go club (Yunxuan Li On How His LA School Club Pulled in 100 Teens 11/5 EJ),” writes Sid Kobashigawa of the Honolulu Go Club. “Can you get a copy of the attractive poster, good flyers and handouts he used to draw these teens. He mentioned these were key to drawing so many students to his club. The story was great but if we want to duplicate what Yunxuan is doing let’s share the actual items that he used so that go will spread.” - Editor’s response: While Li’s club is off to a great start, his materials are fairly specific to his club and won’t be that useful for other locations. Li’s poster is attached to this story as a pdf here: Li Poster. It should be noted that part of why his club is so big is because Li himself is 6 dan, very enthusiastic, and very personable. It doesn’t hurt that he lives in a town with a large percentage of Chinese Americans, who already know about go. If your club isn’t lucky enough to have a 6 dan to teach, the AGF and the AGA both have other resources to help. Thanks to the work of new AGA web team volunteer Greg Smith, this information is easier than ever to find on the AGA site. Just click on the tab that says “Teach Others” on our left menu bar. You will find information for classes, handouts, posters, syllabi for teaching, and much more. The best selection of posters is actually on the AGF’s Tigersmouth Website. The Downloads Section has six different posters, including one in Spanish. Lastly, the extremely popular 11×17 Saicho Poster, that comes in AGF Starter Sets, can be purchased for just 25 cents a copy (plus shipping) directly from the AGF. All US based programs that are teaching youth are also eligible for free equipment from the AGF as well. - Paul Barchilon, E-J Youth Editor. 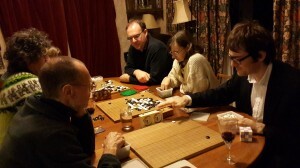 The Wisonet Go Club in New Jersey is organizing a slow-game tournament November 28-29 in central New Jersey. Unlike most weekend tournaments, the time limits will be two hours per player, two rounds per day and winners will qualify to advance to rounds that will be played in subsequent months. Organizer Ronghao Chen expects the whole event to last “three or four months” and says it’s intended to give dan players a chance to play higher quality games. Kyu level players can join the tournament by special approval only. 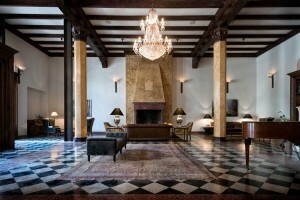 The tournament will be held at the Madison Suites Hotel in Somerset, NJ. Contact Chen at chenronghao@yahoo.com or call him at 908-872-6202 for more information. The arrival of the English version of Lee Sedol’s Commented Games Volume I in 2011 fulfilled a dream of our go study group: a high-quality, detailed view into the highest levels of the art of go as practiced by the Korean super-talents. We had worked our way through stacks of old Go Worlds, graduated Slate and Shell’s magnificent Fairbairn volumes on Go Seigen’s famous Jubangos. 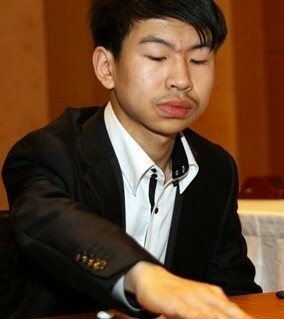 But here was something new and different: Lee Sedol, the world’s number one player famed for games of staggering complexity, uncompromising fighting spirit, quadruple ko and half-point wins. I was immediately struck by the superb quality of the books. Everything from the paper to the layout and its large diagrams made for a most enjoyable reading experience. There are just three games in each volume, but the depth of the commentary more than compensates. Lee actually wrote three books during a six-month hiatus in his tournament schedule while he worked out some kinks in his relationship with the Korea Baduk Association. 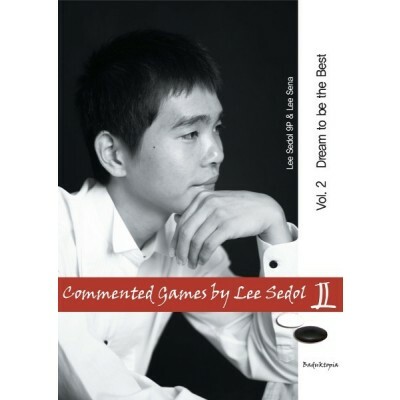 Volume Two, now available from GoGameGuru, begins with Lee’s fantastic triumph in Game 3 of the LG Cup against Lee Changho 9P. Lee devotes 100 pages to this game alone. Large diagrams head the chapters and typically include a general point of strategic advice or an insight into the psychology of the game. Indeed, the book abounds in the latter sorts of reflections, both in Lee’s own words and those of the writer, his sister, Lee Sena, who glowingly covers aspects of Sedol’s personal development and the ups and downs of his career. Game Two, against Chang Hao 9P, similarly runs to more than 100 pages and includes commentary and annotated variations at a depth I have never seen before. However, the last game is the best of all. Again, the opponent is the Lee Changho 9P. 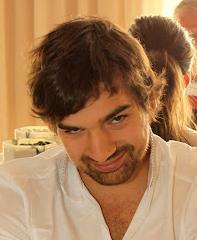 This time, the occasion is the World Oza 2006. Whereas the first two games will surely repay careful study and help players of all levels to improve their understanding of whole-board vision, deep reading, modern joseki and the like, the last game is best approached as a lesson in humility. I suggest you play through this game with a 6-dan, as we did at our club. He was utterly flummoxed by it and unable to predict the moves or discern the flow of the game. Lee’s avowed dislike of being “coerced” by his opponent manifests itself in a taut duel of nerves in which each player defiantly shifts the location of the battle in what appears, even to strong amateurs, to be chaotic mayhem. The strangeness of this game has its own beauty and excitement, but don’t expect to pick up any tips. Baduktopia deserves high praise for putting out these splendid books on one of the most exciting players of our generation. (Click here for a review of Volume 1.) The editorial decision to include few but thoroughly commented games with a limited number of moves per diagram results in a book that you can read anywhere, even without a board. 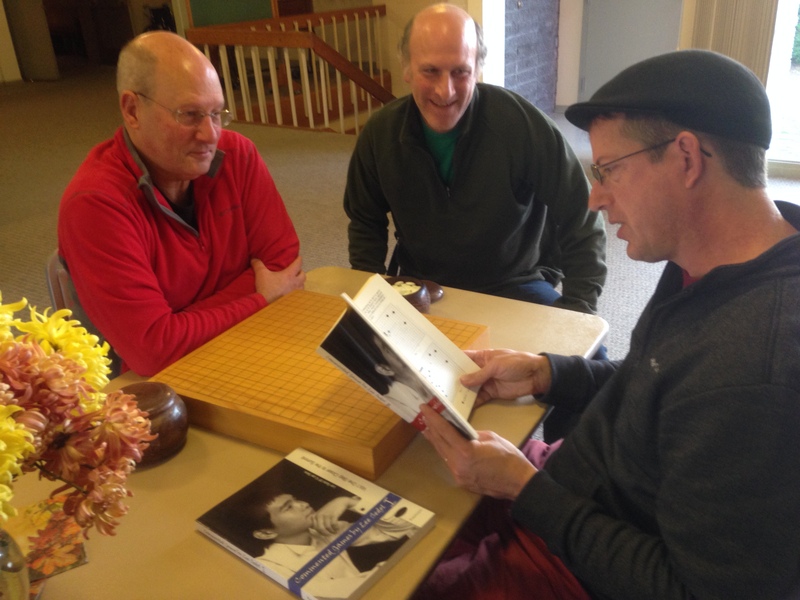 The biographical materials add a nice dimension to our appreciation of the life of a professional Go player. All in all, I recommend Lee Sedol’s Commented Games: Volumes I and II without reservation. We await with eagerness the arrival of the promised third volume. The Portland Go Club is looking for volunteers to help them staff a booth at Mochitsuki, a traditional Japanese New Year’s celebration scheduled for Sunday, January 26, 2014 (the Year of the Horse) from 11am to 4 pm.”We’ll have a booth and are looking for 2-4 volunteers to man/woman it and teach interested people how to play,” says Peter Freedman. “Volunteers will be able to attend Mochitsuki for free. 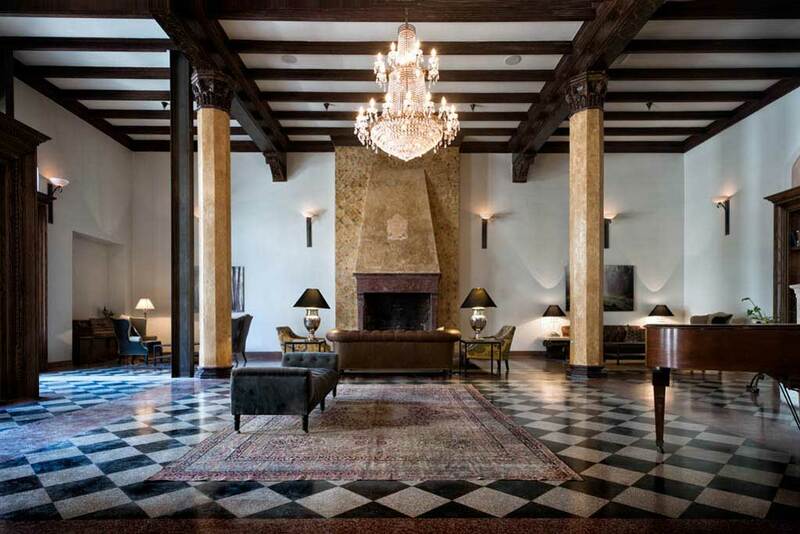 It’s a great holiday and if you like Japanese food you are in for a treat.” The event will be held at the Scottish Rite Center – 1512 SW Morrison Street, Portland, Oregon; contact Freedman at peter.freedman@comcast.net. A go hothouse sprang up in Letchworth Garden City, UK the weekend of November 8-10, when 14 of the UK’s strongest and most promising players congregated at the home of Letchworth Go Club organizers Simon and Alison Bexfield (see New Go Club Blooms in UK’s Garden City, EJ 4/5) for an intensive weekend honing their go skills under the guidance of Juan Guo 5P. Juan, famous for her Internet Go School and a frequent attendee at US Go Congresses, flew in from her home in Holland to be there. Co-host and participant Alison Bexfield 2d (pictured, right of center) described the event as “inspirational”, explaining that “the weekend was one of a series run by the British Go Association over the past few years to encourage the development of the leading UK players.” The program was developed by British Pair Go Champion Kirsty Healey who also organizes the weekends, which are aimed at increasing the number of players with a European Rating (GoR) over 2400. Invited attendees had to be rated over 2100 or meet other criteria such as being young and rapidly improving players. Check out Juan’s Facebook page for more photos. Report by Tony Collman, British correspondent for the EJ. Photo by Juan Guo; (L-R) Matthew MacFadyen 6d, Richard Hunter 3d, Tim Hunt 2d, Alison Bexfield 2d, Matt Scott 2d.